Jerrod Carmichael (@NotoriousROD), star of The Carmichael Show (@CarmichaelShow) shares his thoughts on the presidential candidates. Catch the season premiere of The Carmichael Show! Sunday, March 13th 9/8C on NBC. 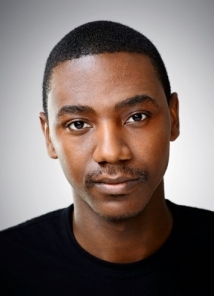 Jerrod Carmichael is a Los Angeles-based stand-up comedian originally from Winston-Salem, North Carolina. He is currently the executive producer, writer, and star of the NBC comedy The Carmichael Show. In 2014, Jerrod Carmichael released his very first standup special, an hour-long special for HBO. Jerrod Carmichael: Love at the Store was filmed at The Comedy Store. Carmichael's HBO hour was produced by Funny Or Die and directed by Spike Lee. It was the second standup special Spike Lee has directed, following the 2000 standup concert film The Original Kings of Comedy. Also in 2014, he appeared in the Nicholas Stoller-directed summer blockbuster Neighbors, opposite Seth Rogen and Zac Efron. Carmichael was featured in Variety as being one of the top ten comics to watch, as well as being one of the New Faces at the Montreal Just For Laughs Festival. Jerrod Carmichael is a regular around some of LA’s favorite standup shows, including Meltdown, The Improv, Laugh Factory and many alternative rooms. Jerrod Carmichael, who ranked first in a 2013 poll we conducted amongst LA bookers and hosts to determine their favorite up and coming standups, has also appeared on The Goodwin Games, The Tonight Show Starring Jimmy Fallon, and Conan. Jerrod Carmichael (@NotoriousROD), star of The Carmichael Show (@CarmichaelShow) shares his thoughts on Bill Cosby. Catch the season premiere of The Carmichael Show! Sunday, March 13th 9/8C on NBC. This week, Kevin Nealon interviews Jerrod Carmichael about old jobs and the lifestyles of the rich and money-diving. Jerrod sympathizes with those oppressed in the Chik-fil-A war. Jerrod Carmichael (@notriousROD) collaborates with The Pharcyde's Fatlip (@therealfatlip) on a real slow burner at the Laugh Factory comedy club in Hollywood, CA, home of the best stand up comedians. Jerrod Carmichael hurts those he loves with words at the Laugh Factory in Hollywood, CA - home of the best Stand up comedians. Jerrod Carmichael is too broke to rob a bank on the Kevin Nealon Show at the Laugh Factory in Hollywood, CA. Jerrod Carmichael imagines what OJ Simpson's Twitter account would have read in 1994 at the Laugh Factory in Hollywood, CA. Jerrod Carmichael's family is split about the Casey Anthony trial's verdict at the Laugh Factory in Hollywood, CA. Jerrod loves shark week and has been looking for his father. Nights &weekends; only free when the bill is paid.